There are two costs that all students are responsible for: tuition and fees. 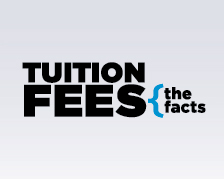 Tuition refers to the cost of your classes and instruction. Fees refers to the cost of additional programs and services on campus, such as the recreation fee, student publications fee, health services fee, etc. Undergraduates: The non-resident undergraduate tuition and fees is $10,152 (tuition) and $224 (fees). Exchange Students: Some international students participating in reciprocal exchange programs will pay tuition at their home university and not at UH Hilo. Pacific Islander Students: Students from the Pacific Islands that do not have a 4-year university pay 1.5 times the resident tuition rate, which is $5,508 per semester. Graduate Students: The non-resident graduate tuition is $13,284. Students in the doctoral program in nursing pay $18,888. Pharmacy Students: The non-resident tuition for students in doctoral programs in the College of Pharmacy program is $20,520. All students (undergraduate and graduate/professional) must pay the mandatory student fees of $224 per semester.